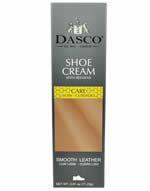 Dasco fully lasted lime wood shoe tree. Stained and highly polished. 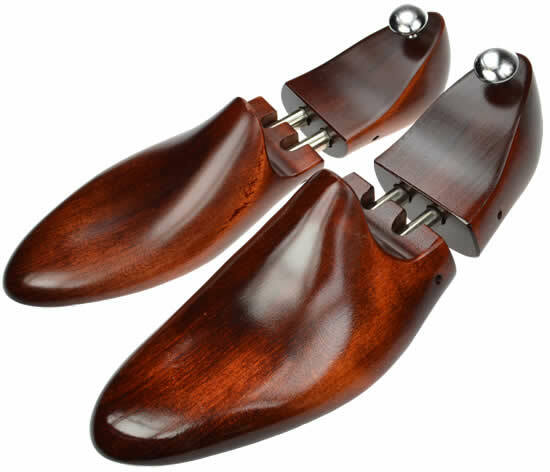 This men's wood shoe tree has twin nickel tubes and a nickel knob. Per pair. Wood Shoe Trees have high quality spring adjustments for a perfect fit every time. 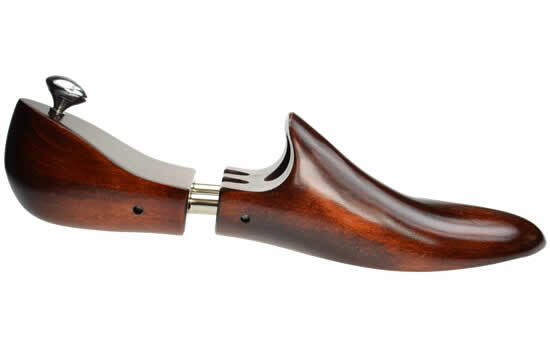 They are available in a variety of different woods and finishes. Options for knobs and rings are available and nameplates may be attached to feature your own logo. Plastic Shoe Trees are available as a lightweight alternative to wood. 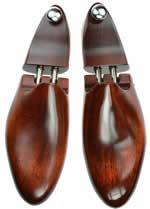 Please note that most wooden shoe trees are made to order so delivery can take a couple of weeks. 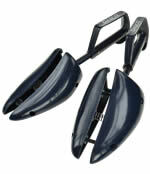 Dasco Piccadilly shoe trees are a lightweight plastic shoe tree with split forepart. Helps to keep shoes in excellent shape. Automatic length and width adjustment. Easy grip handle to aid shoe cleaning. Per Pair. 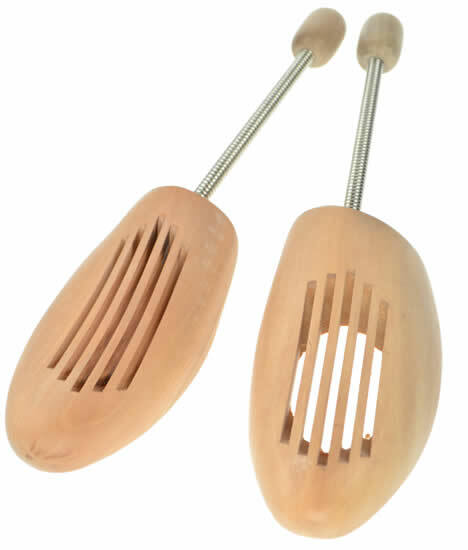 Fully lasted aromatic cedar wood - keeps your shoes smelling good. Split forepart with springs to push outward. Brass knob and double brass tubes to push lengthways. 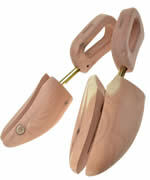 Quality shoe trees like these will keep your shoes in shape and will make them more comfortable to wear. 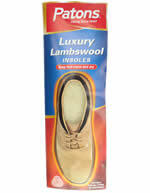 They will also help reduce shrinking and cracking of the leather thus helping the shoes last longer. Sizes EU40-48 ; UK 6-13. Per pair. 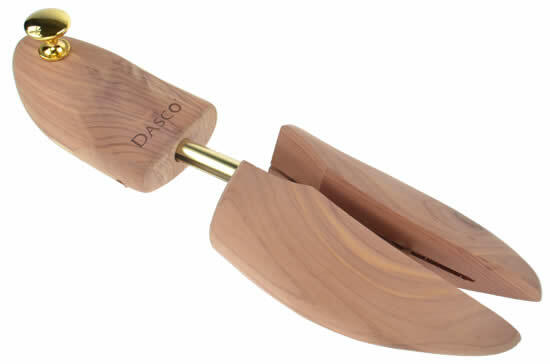 Dasco Classic Cedar shoe trees are made from aromatic cedar wood with a split forepart and heel shaped end with a brass handle. 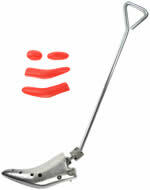 With single spring brass tube, and split expanding forepart. Per pair. Fully lasted economy hardwood shoe tree. 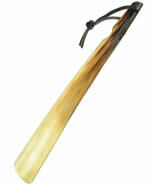 Spring split forepart (for width), double brass springs tubes (for length) and brass knob. 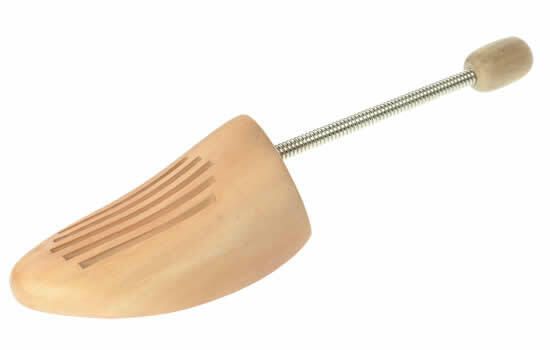 Fully lasted aromatic cedar wood shoe tree with brass tube and brass knob. Available to order in men's sizes 5-13. These are assembled to order so are not available for immediate shipment. 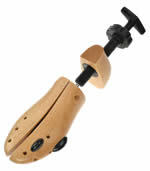 Dasco Executive hardwood shoe tree with wood handle, in small, medium, large and extra large. 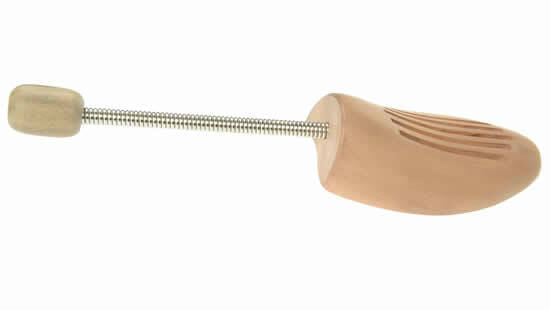 With single spring brass tube, and sprung forepart. Per pair. 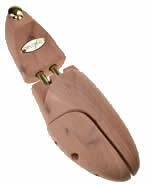 Dasco Knightsbirdge fully lasted lime wood shoe tree. Stained and highly polished. 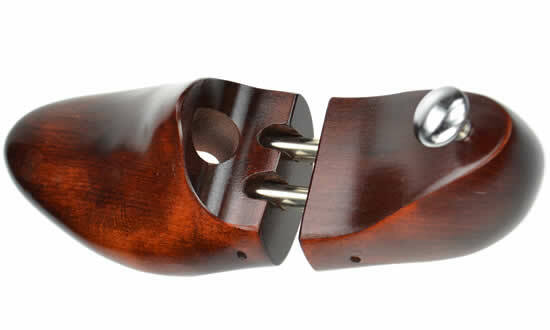 This men's wood shoe tree has twin nickel tubes and a nickel knob. Available to order in men's sizes 6-12. Per pair. 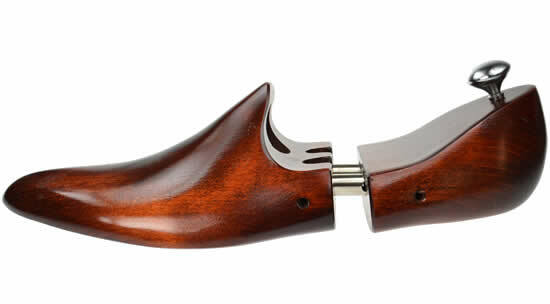 Dasco Mens Cedar Strand shoe trees are made from aromatic cedar wood with a split forepart and convenient handle. With single spring brass tube, and sprung forepart. Per pair. Stock item - available for immediate delivery. 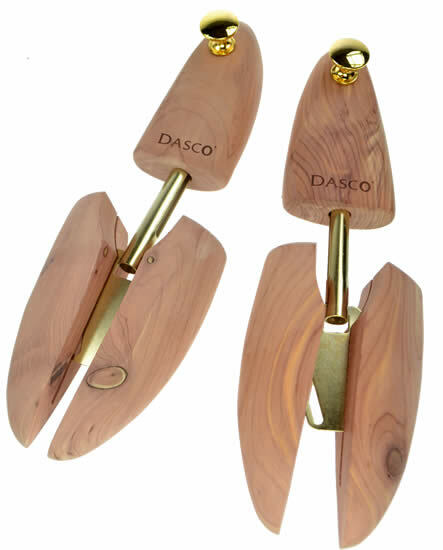 Dasco Count Shoe trees are lightweight wood shoe trees ideal for travelling. Small, Medium, Large and Extra Large men's sizes. Per pair. 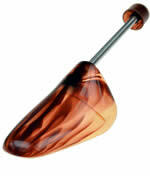 Dasco amber shoe tree with spring. Per pair.